I’m no expert, but from my experience, photoblogging (much like pimpin’) ain’t easy. 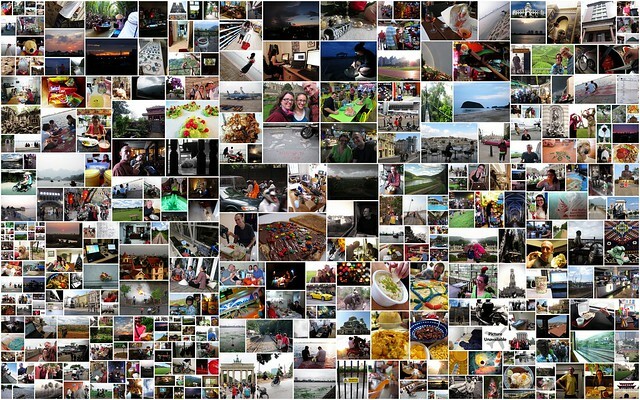 You have to go out into the world, take some digital photos, bring them home, delete the crappy ones, enhance the good ones, upload them to a server or service (like Flickr). Once that’s all done, you need to write a blog post, link each image, add some descriptions (which you probably already did in Flickr), make sure the formatting is right, etc. I’ve done a few photoblog like posts (like this one) and I can say, it can be a lengthy process. Photo from Hobby Tengoku post on Flickr. Photo from Hobby Tengoku post on [DannyChoo.com]( http://www.dannychoo.com/en/post/26975/Hobby+Tengoku.html). After a little bit of digging, I came to the conclusion that I could write some code that would do the same thing using the Flickr API and created Flickr Photoblog. Flickr Photoblog is a PHP library that uses Flickr’s APIs through PEAR::Flickr_API to create a string of HTML that can easily dropped into any blog post or used as a stand alone web page. You can write as little as 3 lines of code, include your own CSS files for styling, give photo attribution, create your own HTML headers and a some other neat stuff. If you’re interested in learning more visit the Github repo. If you’d like to try it out live you can do so here. You’ll need your own Flickr API key. If you don’t have one you can get one here. For now Flickr Photoblog is geared towards developers, however, I have some ideas on a web app that would allow folks without coding knowledge to benefit. If you’re a photoblogger and would like help using it in your project or workflow, let me know! First photo by Chasing Donguri.